There are some areas of the house where the lighting is needed to see what you are doing. A work room, needs a bright light, and so does the hallway or the entrance. These types of lights are usually not in an area where people spend time. They move through quickly, so the light is needed. Sometimes, it can be bright, and because it hangs down from the ceiling, it concentrates that light from above. Pendant lights cast shadows on people’s faces, so lights like these tend to be found in areas where people move through quickly or don’t require a lot of additional lighting. Hubbardton Forge has some beautiful choices in pendant and hallway lighting, and Hubbardton Forge sconces can offset those lights when you need a little bit less light in the area. Lighting also provides ambience; it brings a sense of color, warmth, and coziness to the room. Floor lamps and sconces can provide a soft, glowing light, and these are used to decorate and bring comfort into living areas and dining areas, or to bring a homelike feel to an office space. Some of these examples of House of Troy floor lamps do exactly that. Floor lamps are tall and can be moved around the room to be just where the decorator wants, or needs, them to be. The ambience is set. The light is soft and fills just the space where it is needed. Sconces have a similar purpose. They are like lamps that are set in a fixed space. Hubbardton Forge sconces can be chosen to match the other lights in the space. There is also another purpose to lighting, and that is to give the space its proper purpose. It is clear, as people move through the home, that the lighting was specifically chosen for that part of the house. Kitchen lights, bathroom lights, bedroom lights: they all mean different things, and the lighting is used differently in these areas. However, by getting fixtures from the same companies, like House of Troy floor lamps and Hubbardton Forge sconces, people can easily purchase lighting that matches and perfectly works in the house. 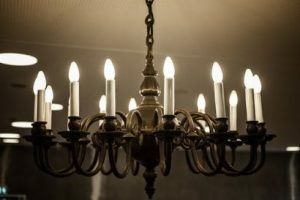 When you are looking for beautiful lighting for specific purposes from a place that understands all of your needs, Crescent Harbor Lighting is the choice. We have all the right lighting—and at low prices, too.